The Philippines is fast losing its chance to read and learn the orally transmitted folk literature of the Mandaya people of the Davao provinces in Mindanao, the second largest island in the country. Every year, the number of magdadawot (bards) who can chant the Mandaya dawot (epic poems) and old bayok (spontaneous poems), or recite the uman-uman and hullubaton (stories or historical narratives), tutukanon (riddles), and proverbs and sayings is fast diminishing. The language used in these oral traditions is archaic Mandaya, no longer spoken or clearly understood by the present generation. The few who are gifted and skilled to transmit these ancient arts and wisdom are old and dying. Because of this, the University of the Philippines implemented a project to preserve the dawot and promote appreciation for this cultural legacy. The dawot as defined by Nabayra is a collection of epic poems that narrate the customs, ways of life and adventures of an ancient people. The dawot, which is composed of several hullubaton (or episodes), is transmitted orally by the bard. Each hullobaton takes numerous nights to chant. The dawot has existed for centuries yet its origins remain unknown. There are several hullubaton of the Mandaya dawot, but only seven have survived: Pyalid si Ubang (Ubang was Carried by the Wind), Yangagaw si Dilam (Dilam Abducted Sadya from Tibay), Yallabo si Sadya (Sadya Drowned), Yagabulla si Daymon (Daymon Runs Amuck), Maylan (Maylan Retrieves His Shield), Yang Sabud ni Gambong (A Strom Ravaages a Flower in Gambong’s Garden) and Syukli si Ubang (The Molestation of Ubang). Of these, only one was recorded and translated. This project gave birth to five hullubaton texts, recorded “from the lips of the singers, riddlers, and storytellers … in the language of the ethnolinguistic group,” as Manuel advised. The Mandaya versions were subsequently translated into English and Visayan, a major language in the central part of the Philippines. Recording and translation took nearly two years. However, for the researchers, their biggest achievement was gaining the trust of the members of the Mandaya community; right from the start, it was the balyans (priestesses and bards) themselves who offered to share the hullubatons with the researchers. Unlike other Philippine epics like the Darangen, Ulahingan and Hinilawod, the Mandaya epic is yet to be recognized. The project is the first step in giving the Mandaya dawot its rightful place in the recorded epics in Philippine folk literature. The recording and preservation of folk literature is an important task as it deals with a significant heritage of our pre-colonial culture. 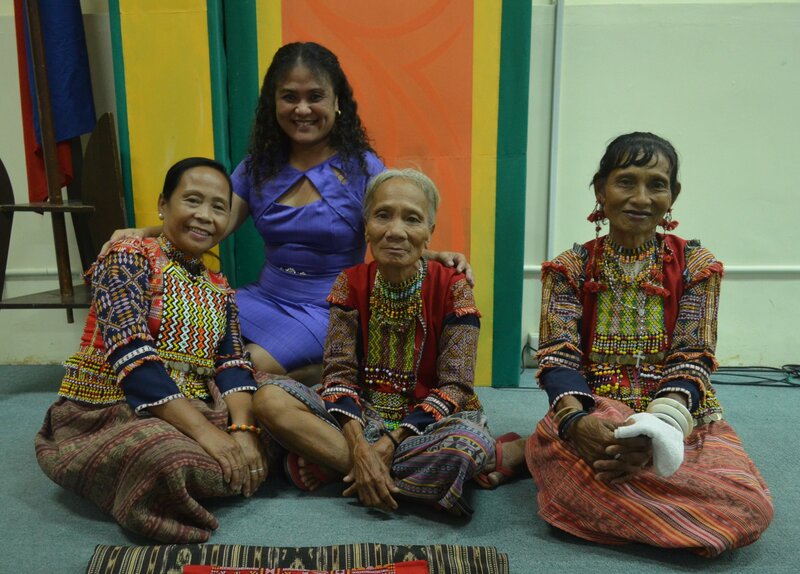 Giving recognition to Mandaya culture through their hullubaton and the dawot likewise stimulates in the members of this indigenous community a sense of pride for their own literature and culture. The project received support from the Office of the Vice President for Academic Affairs through the Emerging Interdisciplinary Research Grant.